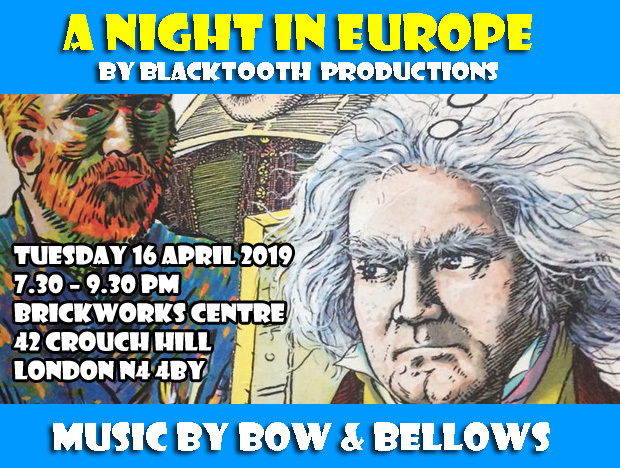 Enjoy A NIGHT IN EUROPE on Tuesday 16 April 2019 with Bow & Bellows. Commemorating 100 years since the end of the First World War. Two minutes silence will be held at 11am. Now Oswald’s verse has been adapted for the stage by Australian company Brink Productions, which is bringing the show to the Barbican for its UK premiere between 27 and 30 September 2018. 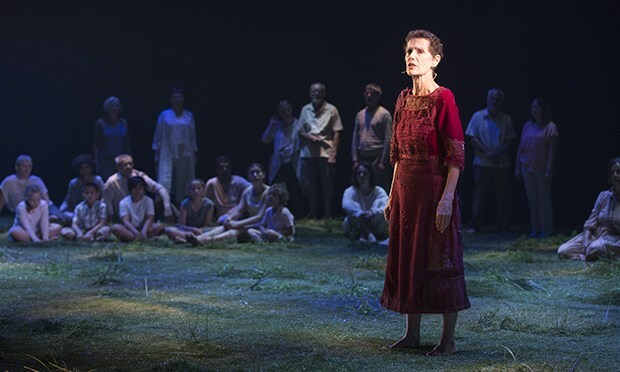 Featuring a score by Jocelyn Pook, the production boasts a community chorus of the same size made up of local choirs including Song Works Choir Hackney. 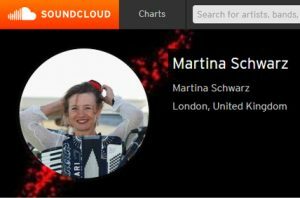 Martina’s choir Hackney Song Works will be part of the 215 strong chorus in ‘Memorial ‘at the Barbican (27-30th Sept 2018). The staging is based on a poem by Alice Oswald, with an original score by the wonderful composer Jocelyn Pook. 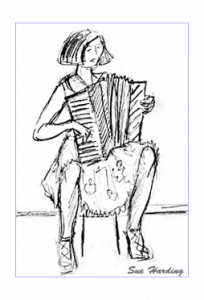 Bow and Bellows (Sally Davies and Martina Schwarz) “a stunningly versatile violin, horn and accordion duo” perform in Crouch End Chronicles the latest of Blacktooth productions shows. As always it mixes readings, live music and raucous anecdotes and digs into the local history and the characters who have helped make it. 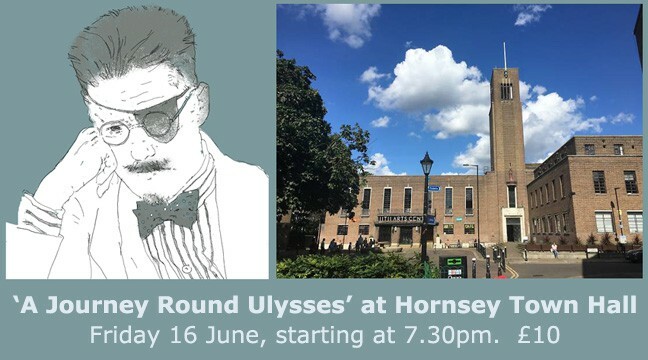 June 16 is a big day for James Joyce fans. It is the day on which his masterpiece, Ulysses, is set. We’ll be celebrating in style, with readings from the novel which mix raucous humour, sexual frankness, Wildean wit and a wonderful evocation of Dublin life. 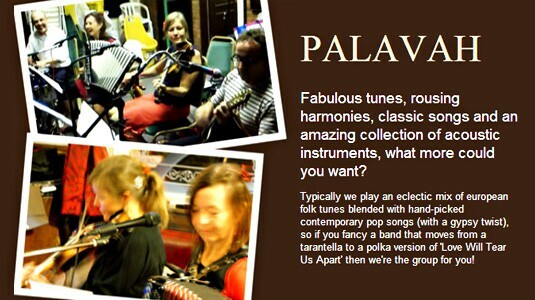 The cast includes Nora Connolly and Oengus Macnamara, with live music from Sally Davies and Martina Schwarz. On April 27, Blacktooth productions will be celebrating the joy of spring, as seen by novelists, poets, natural history writers, diarists and wits through the ages. 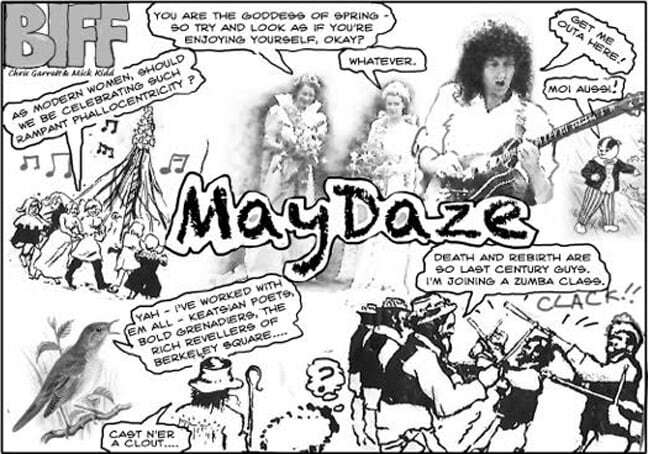 May Daze combines anecdotes, jokes, stories and music, with readings from DH Lawrence, Virginia Woolf, Robert Browning, the Bible, Kenneth Grahame and many others. Kate Walsh and Daniel Dresner performed the readings, with music from Sally Davies and Martina Schwarz.